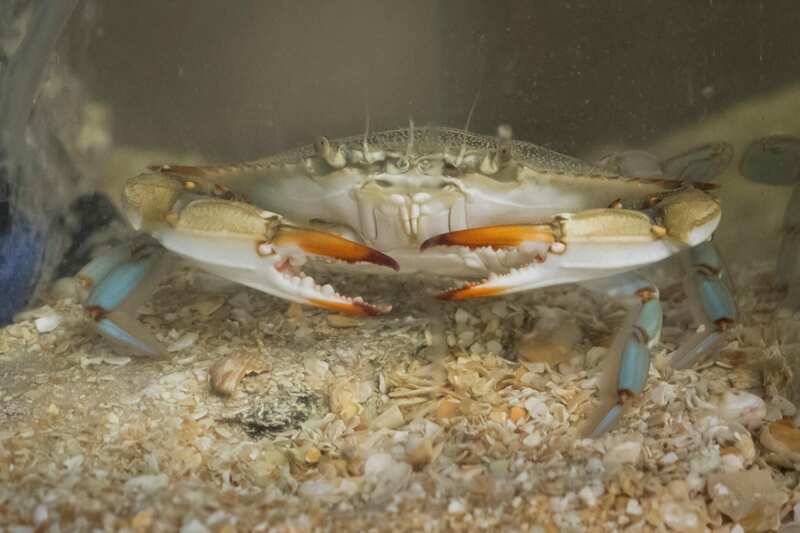 Blue crabs get their name from their colorful blue claws. Males perform wild leg-waving “dance moves” to attract mates. 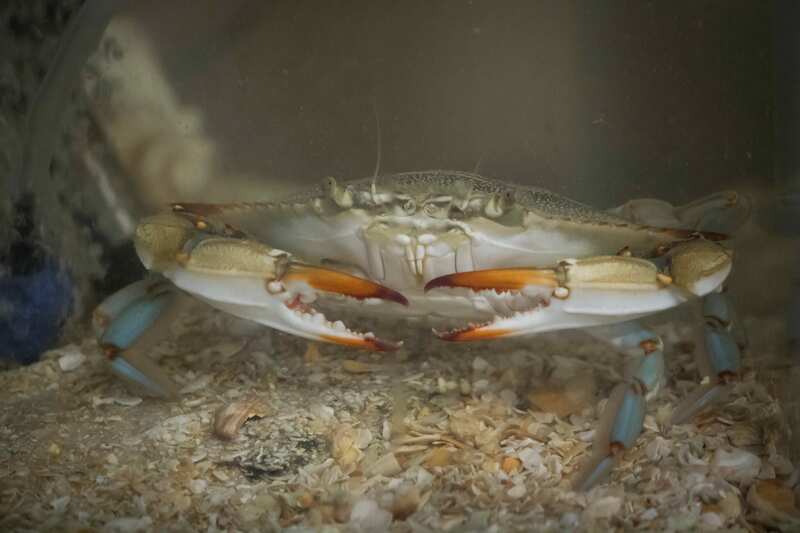 Female blue crabs only mate once in their lifetime.